In authors’ previous work (Chen et al. 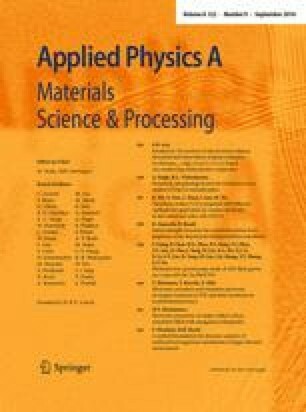 in Appl Phys A. doi: 10.1007/s00339-016-0371-6, 2016), the nonlinear unloading behavior of a typical Ni-based superalloy was investigated by hot compressive experiments with intermediate unloading–reloading cycles. The characters of unloading curves were discussed in detail, and a new elasto-viscoplastic constitutive model was proposed to describe the nonlinear unloading behavior of the studied Ni-based superalloy. Still, the functional relationships between the deformation temperature, strain rate, pre-strain and the parameters of the proposed constitutive model need to be established. In this study, the effects of deformation temperature, strain rate and pre-strain on the parameters of the new constitutive model proposed in authors’ previous work (Chen et al. 2016) are analyzed, and a unified elasto-viscoplastic constitutive model is proposed to predict the unloading behavior at arbitrary deformation temperature, strain rate and pre-strain. This work was supported by National Natural Science Foundation of China (No. 51305466, 51375502), National Key Basic Research Program (Grant No. 2013CB035801), State Key Laboratory of High Performance Complex Manufacturing (No. zzyjkt2014-01), the Project of Innovation-driven Plan in Central South University (No. 2016CX008), the Natural Science Foundation for Distinguished Young Scholars of Hunan Province (Grant No. 2016JJ1017), and Program of Chang Jiang Scholars of Ministry of Education (No. Q2015140), and Key Laboratory of Efficient & Clean Energy Utilization, College of Hunan Province (No. 2015NGQ001), China.